Everyone carries some familiar stereotypes of Scandinavia and its peoples – the beautiful blonde inhabitants, the wide open landscapes, the long dark winters, the bicycles, the fairytale capitals. The Scandinavian countries are consistently ranked as having the happiest peoples, with the best quality of life, the most liveable cities, some of the highest education standards, the hippest design, the most bikes and boats per capita etc etc. The list is endless. Its an idealistic Valhalla that few are lucky enough to experience. But what is it that makes them so happy and successful? We think it is in their ability to create intimacy, fellowship and conviviality around everyday moments. The kind of everyday moment borne from the region’s exposure to extended cold and darkness and the need for people to come together, over centuries, around a source of heat and light. But its their ability to then turn this rather functional need into an almost spiritual experience that sets Scandinavia apart – the magic of turning any situation into a moment of cosiness, especially those shared with friends and family around the illuminating glow of a flickering candle flame. Each nation has their own name to describe it and all will proudly tell you there is no direct international translation. 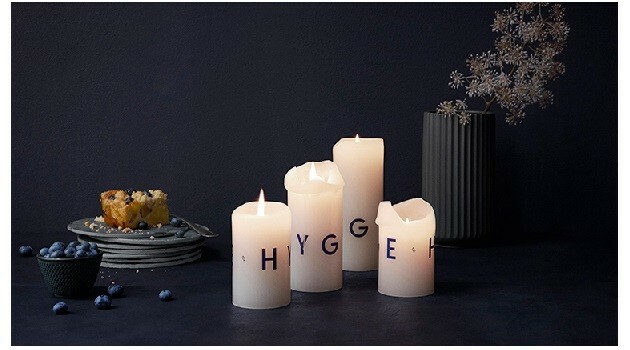 ‘Hygge’ is Danish DNA, the Swedes like to ‘mys’, the Norwegians ‘kose’ while the Finns – ever different – find their own warmth in ‘lӓmpöӓ’. But each word reflects the same cosy, snuggly Scandinavian feeling and, perhaps, the secret to the happiest nations on earth. For the happiest nations on earth, joy is found in life’s small moments.